I started my letter a day project April 2016, just two days before we bought a house! 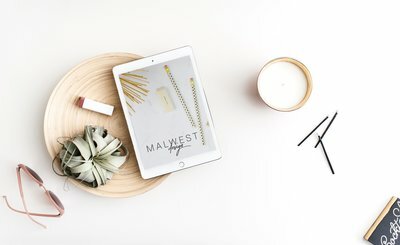 My husband and I were currently homeless, living in separate cities out of boxes and suitcases and road tripping constantly but I decided there was no time like the present to start a side project. Maybe not my most practical decision, but in my defense, I had just attended a design conference (Creative South) and was feeling extremely inspired and ready to hit the ground running! I was feeling pretty creative and ready to just create but I did realize I had a lot going on. I decided taking a little time out of my workday to create a simple letter was something I could swing. Some days I had a couple hours to play- others I only had the energy for a few minutes to scramble and get something together. A true test of self discipline. It has been a few months now since I completed this project and I feel like I learned so much about my own process – I even still love a few of my letters! (always a struggle for overly critical designers/overly critical=designers) This process forced me to create something and post it whether it was good or finished or neither. It’s cool to look back and see a few of the letters that reflect my day; it feels like an insider because I remember what was happening and what I was feeling when I made it. Since I was moving and traveling during that period there were a lot of things I simply had to let go. It was also really nice to work on something that other people would see but their opinion really wouldn’t matter since the letter wasn’t for client or anyone, not even myself. I never thought creating something to basically throw it away would ever be so liberating! I might even do it again. I do have something in the works that came from this little project so I hope to tackle something similar that will be just as fulfilling.